Well… this is some of the most complete and helpful coverage to come out about Kitsap Transit in a long time. Much better! 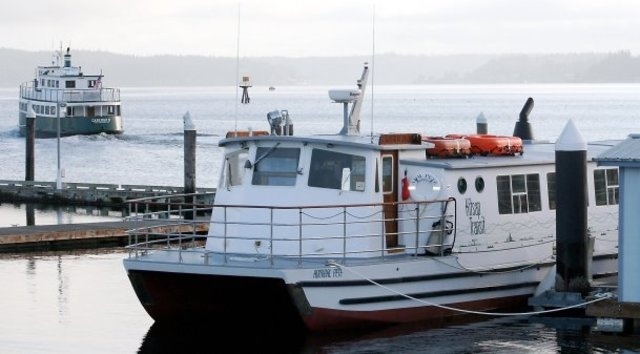 On another note, where is the ridership and usage data that indicates that a 2nd boat is a more cost effective, time saving and productive option than actually implementing bus service that runs from South Kitsap through Gorst into Bremerton or Central Kitsap? Yes, Kitsap Community currently there are no buses that run though Gorst. Why continue with this time consuming diversion through downtown Port Orchard for the ridership to have to get off a bus, take a boat and get back on a bus to travel around an existing land mass with a perfectly usable road structure? The POF is all about saving a selective and privileged group of riders time. Time is money we are being told. Well apparently adding more time to a certain population of riders and costing them more money by forcing them onto a boat to stuff the fare box and make a certain Transit Director look good in his Port Orchard City Council position is A-OK.
Can John Clausen be anymore of a complete operational and leadership train-wreck at this point? I won’t be trusting him or Kitsap Transit under his leadership with either my vote or my money at this point and I am really tired of paying for him and his friends meals on the taxpayer dime. Who wants to go through Gorst? And I guess $50k to $100k makes people one per centers? I’m tired of this talk of privilege. More convenience for people who work is a bad thing? We already have a bus system that caters to the non-working class primarily during the day. Why not something for those of us who pay for their services?